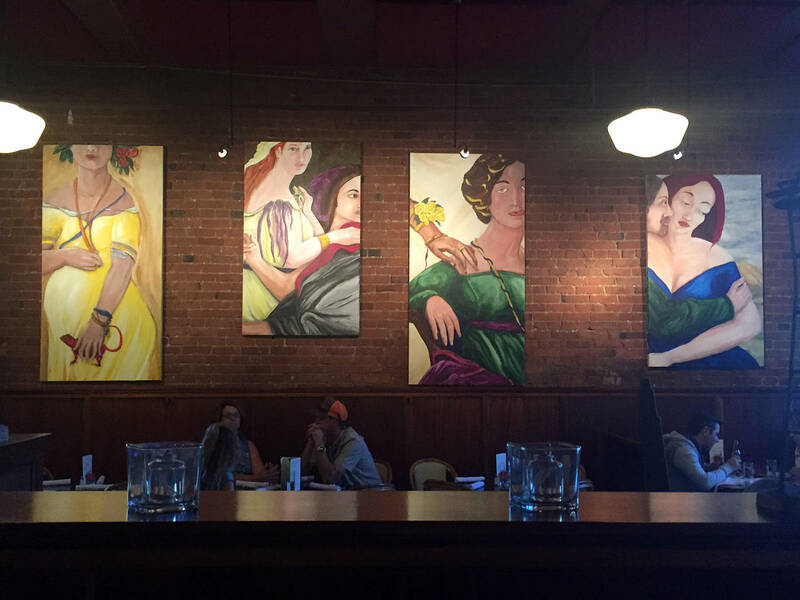 My art show opening at The Virginia Inn last Thursday was part of the Pike Place Market and Belltown Artwalks. It’s entitled The Window Series — Inspiration for the Imagination. This iconic location has a history of supporting Seattle artists by providing a beautiful venue for the works and taking a percentage that is half of what galleries take. Whereas my works have been shown in San Francisco, Miami, and New York, this was my first solo art show in Seattle. I had put together this body of work specifically to find a location to show my art and almost right away The Virginia Inn booked my work for the height of the tourist season. I couldn’t be happier than to be shown at The Virginia Inn. Patrice, one of the owners, is a delight to work with and he did a wonderful job hanging the show. If you are down near Pike Place Market in Seattle, drop in to see what’s on display. Patrice is also the curator and he has a wonderful eye. I’m so very grateful to all of my friends who showed up to help me launch this endeavor. The paintings will be up for 2 months. They will be taken down after Labor Day weekend. 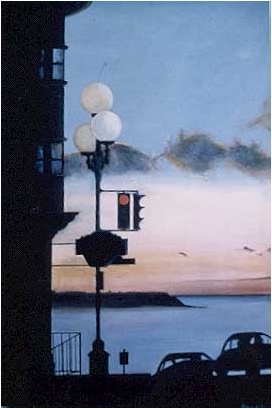 As a funny coincidence, I had painted Seattle Sunset (below) in the 80s. It features The Virginia Inn’s sign. Now my works are on display there. I couldn’t be more thrilled!